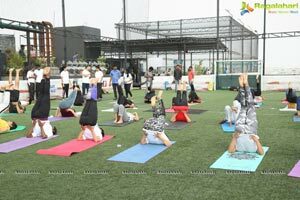 Hyderabad, 17th June, 2018: The Gift to the World by India "Yoga" - is one of the most practiced fitness regime across the World- As the World gears up to celebrate "International Yoga Day" - iFiT Studio brings in a Grand Event "A Pre-Celebrations of International Yoga Day"
Pre-Celebrations of International Yoga Day is a brainchild of Sailaja-Founder-Managing Director-iFiT Studio's. 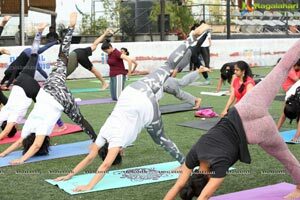 iFiT Studio is the First of its Kind Online Global Fitness Studio, with a Concept "Get Fit Anywhere, anytime".. iFiT Studio trains LIVE, with personalized Classes and have been helping people in their fitness regime worldwide. 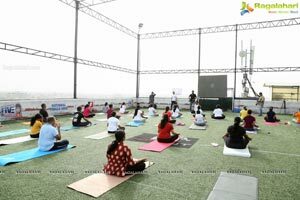 The Pre-Celebrations initiated with the Surya Namaskar by Chitwan Sharma, this is to offer our salutations to Lord Sim as well as to warm up the participants and continued with a Power Yoga Session by Yoga Guru Shinoj Varghese, to take the participant from the basic level of yoga postures to some advanced postures with high intensity to work on their core body.The Event Continued with healthy breakfast just enough to recover from the first two sessions and boost up energy for the next session. 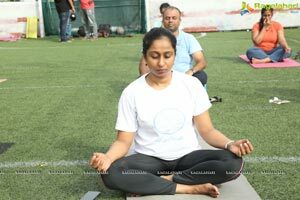 The Event Witness a Talk by Sailaja - Founder-M.D-iFiT Studio taking us through her journey of Transformation by Yoga. 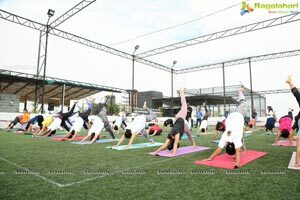 The Event Concluded with the organizing team showing the postures of animals like ( mayurasan (peacock), kurmasan (tortoise),, grass hopper, crow pose etc.. and also some letters like letter Y and T etc.. (Y will be done by head stand with legs separated)-To help people understand the value of fitness. 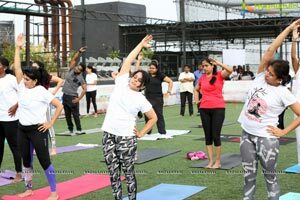 Speaking on the Occasion "Ms.Sailaja- Founder-M.D-iFiT Studio thanked the participant for making it to the event and conveyed the importance of healthy & fit lifestyle among youngsters. 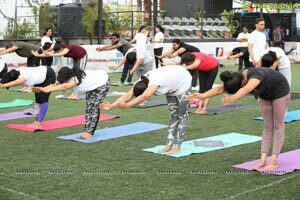 She thanked Media & Yoga Guru for explaining the basic essence & forms of Yoga to the participants.